Yesterday it was Crocs for the kiddos. 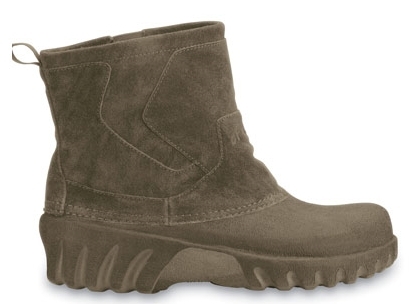 Today it’s a great deal on Crocs winter boots for adults. I sure wish they had these on laser delivery service because us NJ, PA, DE folks can sure use these tomorrow. Ugh…hate snow! The Ambler is only $24.99 (org $59.99) and the Haley is only $29.99 (org $69.99). Use coupon code: CROCSAFF10 to score another 10% off plus there is free shipping. And don’t forget to put a Free Valentine’s Jibbitz in your cart.